An alarming increase in the number of workplace accidents at cell towers has spurred the action by the Occupational Safety and Health Administration. 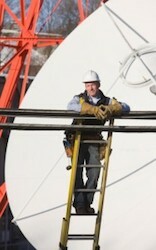 OSHA recently wrote to the communication tower industry, urging it to improve safety for workers. OSHA says every single one of these fatalities was entirely preventable and wants to see the industry reduce the toll. Rapid advances in smartphone technology have led communication companies to upgrade their cellular infrastructure. However, this increase in activity has meant greater risks for cell tower workers. If a tower climber simply drops a tool when 100 feet off the ground, it can cause a fatal accident. Those working for subcontractors are often in danger. OSHA is absolutely clear that no worker should feel that he must risk his life or safety to earn a living. In its letter, OSHA reminds employers that they have a responsibility to recognize and prevent worksite hazards. For instance, OSHA calls for new workers to be specially trained and monitored to make sure that they are following best work practices. Employees must have fall protection gear and trained to use it properly. Far too often, protection equipment is provided without training, meaning workers are not very likely to use the safety equipment. The use of protection gear must be supervised and enforced by the employer, and workers must be educated about fall hazards. The federal agency also has specific recommendations for contractors. It says that it will pay close attention to contract oversight matters and will attempt to identify not only the company that is performing the maintenance work on a tower but also all other parties that are involved in the contract, and therefore, may be responsible for accidents. The Occupational Safety and Health Administration has developed a special webpage that is dedicated to the protection of communications workers. Employers need to make use of OSHA resources to protect their workers.